Matches are held on the third Sunday of the month. Some folks need to see more than holes in paper to get a sense of accomplishment that comes from a well placed shot. That's where the sport of silhouette shooting comes in. Shooting at targets that fall over and return a "ping" sound from the hit is just the ticket. 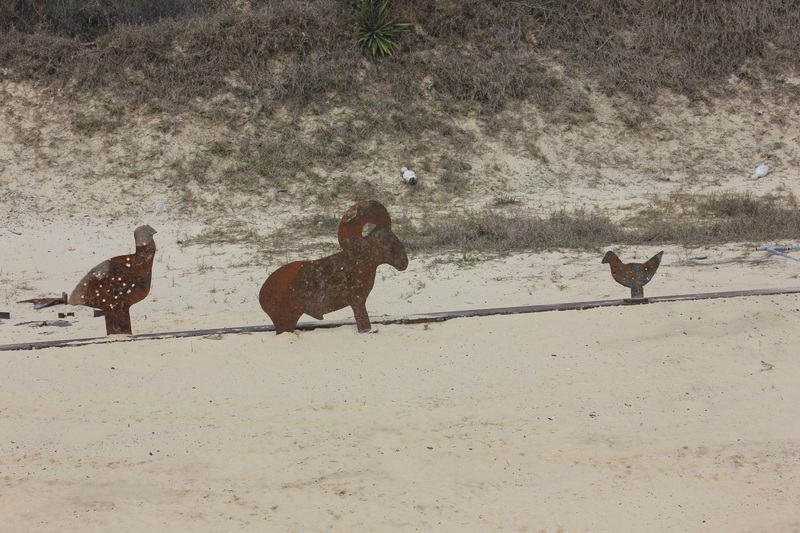 Targets made of iron silhouettes of pigs, rams, chickens, and turkeys, are set out at various distances. 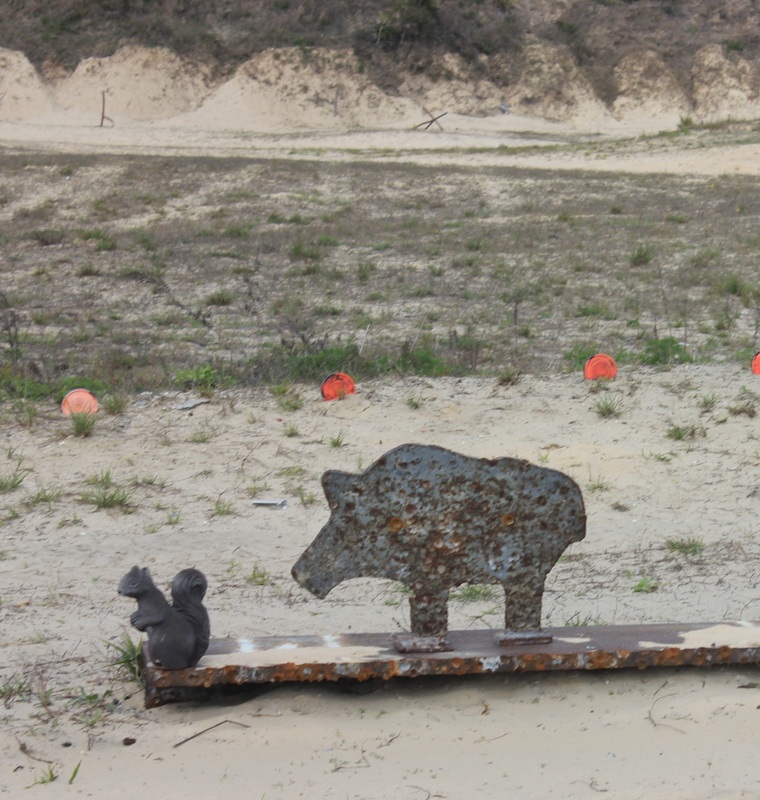 Along with big bore handgun, we have a separate class for .22 rimfire rifles and a class for "cowboy" rifles. Any .22LR rifle or pistol, any center-fire pistol, pistol caliber rifles, or center-fire rifle shooting cast-lead bullets may be used.